On June 10th we launched a contest to rename Guestroom #6, the Purple Room. We had a terrific response with over 100 suggestions coming in via facebook, email, phone and in person. There were a few FUN ones that weren’t selected…. One favorite came from Ralph Watts, owner of the Comic Book Shop in downtown Ephrata. He suggested, “Room I Never Want to Leave But Have To…”, good one Ralph! Other top contenders were: “Americana”, “Rainbow”, “Prism” and Henry Miller Suite. In the end, there were two names that stood out from the rest. Sharon Pfenniger came up with “Twin Dove Suite”, which we really liked because the doves play such a major role at the Smithton. 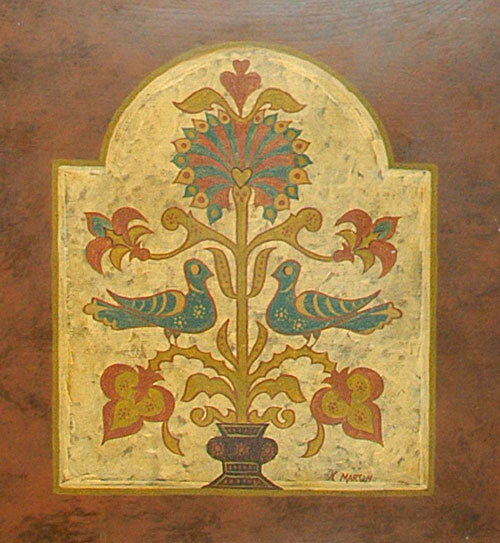 We have doves as our logo and relief sculptures on the building, in addition to being painted and carved into furniture and displayed in several pieces of art throughout the Inn. Unfortunately, this name lacked the ‘color component’ we were hoping for, to maintain consistency with the other rooms in the main house. On the other hand, John Correa suggested the “Crimson Suite”. We really liked his idea because it’s a very ‘regal-sounding’ color description which evokes a romantic image for a color found throughout the room on the quilt, couch and furniture. While John had nailed the color choice, his suggestion lacked the tie to the Inn or local area of Sharon’s idea. And so, in the end, it was the combination of these two suggestions that we ultimately selected. The new name for Guest Suite #6 is: the Crimson Dove Suite!!! 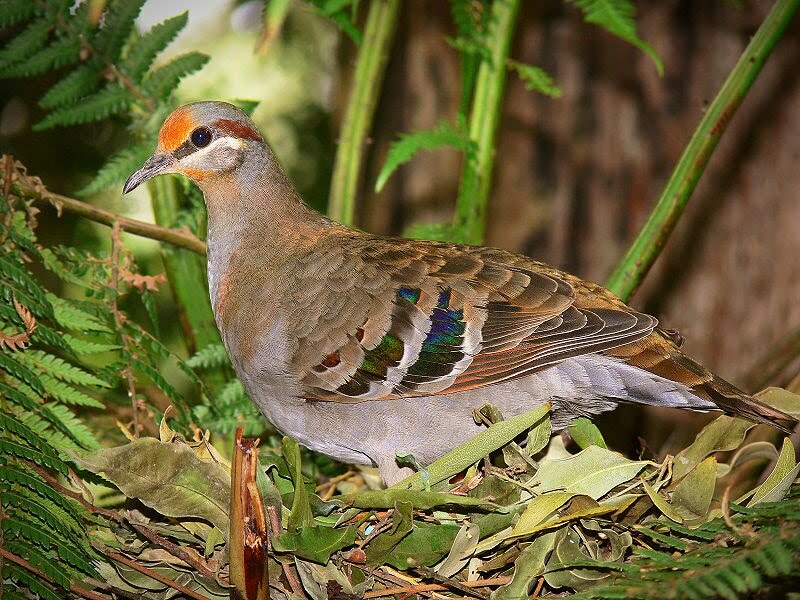 One of the doves in our logo is colored with crimson tones, and there’s actually such a thing as a “Crimson Dove”! It just fit… we’d found our new name! Both John and Sharon will be splitting the prize of a free night in the Crismon Dove Suite, plus we’ll be sending them both Smithton Inn coffee mugs. Thanks so much to everyone who sent in your ideas. I hope you like the new name and that you’ll come visit us soon to enjoy this luxurious suite for yourself! Embrace Your Inner Superhero… May 1st is “Free Comic Book Day”!